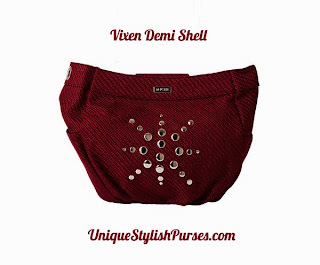 You’ll feel the warmth of the holidays every time you wear the Vixen for Demi Miche bags. Red and black woven fabric features a single oversized snowflake shape created from shiny silver rivets. She’s a delightful and whimsical way to express the spirit of the season. Side pockets. Oval-bottom design.